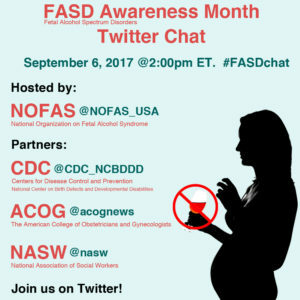 September is FASD Awareness Month! Fetal Alcohol Spectrum Disorders are the leading known preventable cause of brain damage, developmental disabilities, and birth defects, and a leading known cause of learning disabilities and behavioral problems in children, adolescents, and adults. FASD Awareness Month is a time to help spread the word - Alcohol & Pregnancy Don't Mix! As part of the national FASD Awareness Month Art Contest, Illuminate Colorado is holding a Colorado-only art contest! To enter the Illuminate Colorado FASD Month art/photo contest: submit an image, such as a photo or artwork, of “What FASD means to me” with the idea of portraying the reality of how people and families living with FASD have a wide variety of perspectives, and to challenge the assumption that FASD only looks one way. You may optionally include a brief description/story along with the photo. The goal of this campaign is to display artistic/stylized photos/art, ideally something more than a simple headshot photo. All entries to the Colorado art contest will also be automatically entered into the national contest. We will have two winner categories: ages 12 & under, and ages 13 & over. The deadline for submissions is Tuesday, August 29th. Submissions to Illuminate Colorado's art contest will automatically be entered into the national art contest, as well. A panel of judges will select the winning art submissions. The winning art submissions, for both the Colorado and the national contests, will be announced on FASD Day, September 9th. Winners will have their art featured on Illuminate Colorado's website, in social media, in our newsletter, and may be disseminated to a variety of audiences. Additionally, the winners in each of our two age categories will each receive a $50 Amazon gift card! Winners will have their art featured by NOFAS online, in social media, and in printed materials, and may be disseminated to a variety of audiences. The first-place winner’s art will be featured in a special-edition poster that will be displayed at the NOFAS International Gala, and they will receive one free ticket to the gala (transportation not included). Stigmatizing (blaming/shaming) or harshly negative content will not be considered. No explicit or inappropriate content will be considered. Submissions can be emailed to Ginger Harris at gharris@illuminatecolorado.org. Please include your name, age, and contact information along with your submission.